Lounge in style with the handsome Speedster Slide Sandal from Bottega Veneta™! Large strap across the vamp featuring a beautiful intrecciato design. Lightly padded synthetic footbed with embossed brand logo. 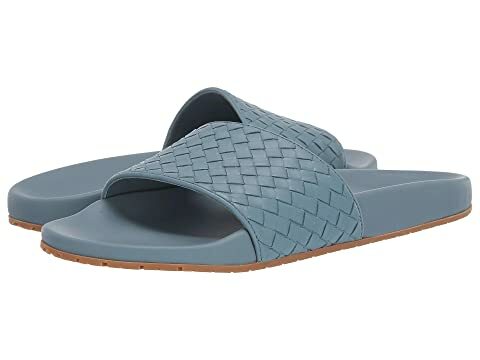 We can't currently find any similar items for the Speedster Slide Sandal by Bottega Veneta. Sorry!